If you are interested to monetize your WordPress site, you can try to submit your web or blog to Google Adsense, the most popular advertising network program that specializes in creating advertisements in web or blog based on the relevant content in your article posts. 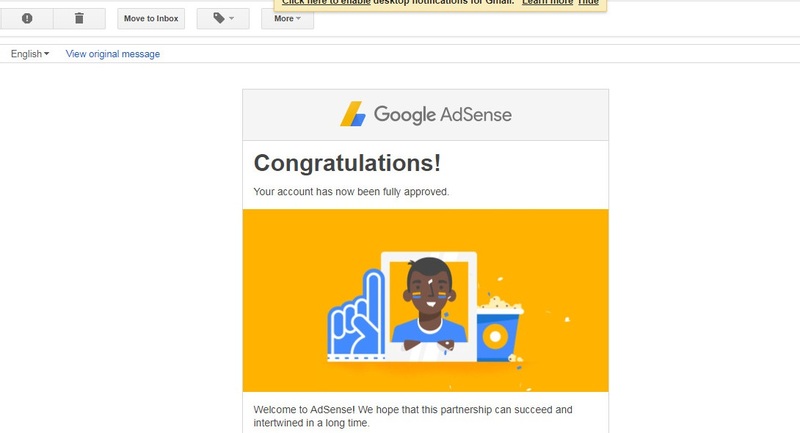 You can also connect Adsense account to your YouTube channel in order to get more income. 1. Sign up and log in to your Adsense account. 2. 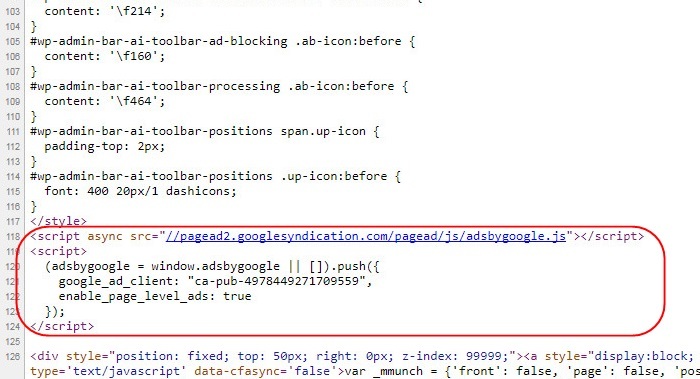 Copy the code discovered in your Adsense dashboard. 3. Paste the code from no. 2 into your blog (between the <head> and </head>. For the step no. 3, you can insert the code manually by modifying header.php file. But this method is too risky for beginners or non-tech savvy bloggers. 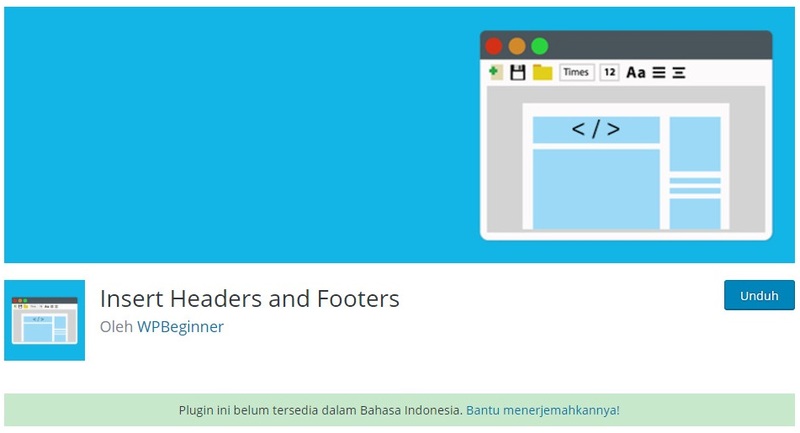 Now, you can easily insert the code using WordPress plugin, namely “Insert Header and Footer”. You don’t need to edit the header.php file. 1. Download and install the plugin as the same way as other plugins. 2. In your WordPress dashboard, activate the plugin. 3. In the left menu, open Settings – Insert Headers and Footers. 4. 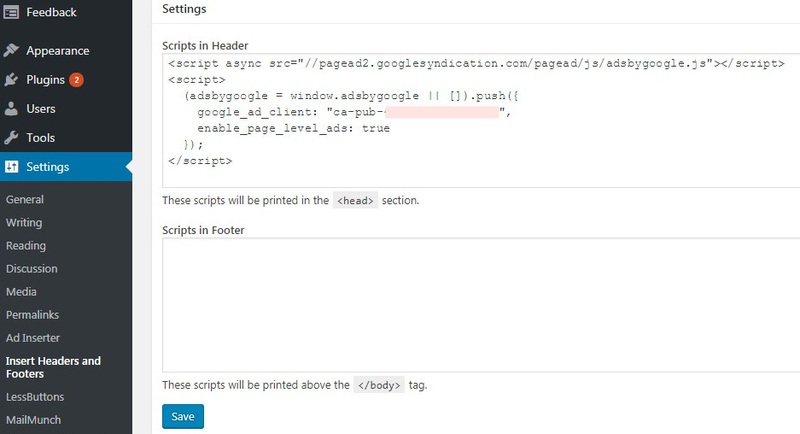 Paste the code obtained from your Adsense account in the “Scripts in Header” box. Click “Save” and you are done. Now, you are ready to earn money from Google Adsense !.